New findings from The Scripps Research Institute (TSRI) may explain why many previous attempts to formulate a hepatitis C (HCV) vaccine have missed their target. By reproducing E2, a key viral protein component in HCV, in a laboratory, researchers were able to analyze its characteristics and identify the unique challenges it poses as a potential vaccine target. Many of the prior candidate vaccines have attempted to use E2 to trigger the body’s antiviral response. The TSRI’s findings, using specific molecular mapping, was that the very nature of E2 elicits many antibodies, but is not exactly effective against the disease. Upon inspection, they found that E2, a viral envelope protein, is remarkably flexible. It’s vital to HCV’s ability to bind to and infect the surface of liver cells, but due to its flexibility, its receptor site displays a fit for a wide variety of antibody conformations. Because of this, when used as the spearhead of potential HCV vaccines, it distracts the immune system with a release of many antibodies that don’t do anything to block its specific viral strain. 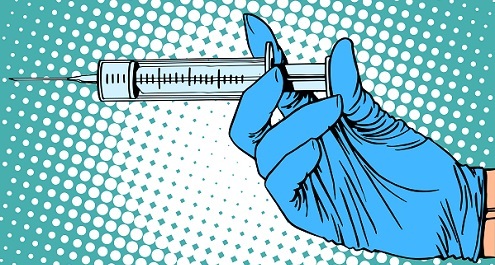 "Because of that flexibility, using this particular protein in HCV vaccines may not be the best way to go," quotes co-author Mansun Law in a related press release. A vaccine that could draw out only the necessary HCV-fighting antibodies would provide effective protection against the disease. To identify those, the team now looks ahead to either designing a new version of the E2 protein, or an entirely new scaffold protein that will direct the body’s release of only the correct and necessary antibodies. While HCV is currently treatable to the point of eradication thanks to potent antiviral drugs, the prohibitive cost of those treatments maintains the international need for a vaccine. Hepatitis A and B were both countered with respective vaccines decades ago. New Hep C Panviral Not Better than Earlier Drugs?